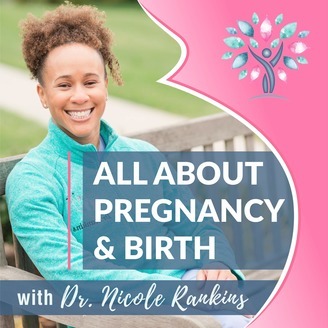 The All About Pregnancy and Birth Podcast is your go to source for comprehensive, evidence-based, holistic information to help you have your best pregnancy and birth. Pregnancy and birth can sometimes feel scary and overwhelming. But with the help of Dr. Nicole Calloway Rankins, they don't have to be! Nicole has been an ob/gyn physician for over 10 years and has helped hundreds of women through their pregnancy and birth. She’s here to help you by breaking down topics in an easy to understand manner, sharing women’s birth stories, and interviewing interesting and innovative experts. I’ve said it before, and I’ll say it again...birth story episodes are my favorite! 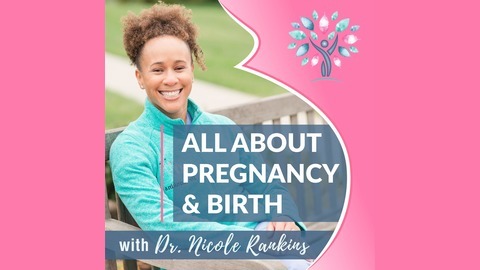 And this episode is packed full of amazing lessons and stories that all pregnant mamas-to-be should hear. From an unplanned epidural free birth, gestational diabetes, honest feelings revealed over the disappointment of having three boys and no girls, to different experiences across three pregnancies and three deliveries...there’s a lil something for everyone! My guest on this episode is Dr. Lulu, also known as Dr. Uchenna Umeh. She’s an expert pediatrician (or Momatrician as she is fondly called by her patients) whose experiences run the gamut of pregnancy and births! Listen in to this episode as she shares her experiences and the lessons she learned that she’s using to help her patients 20 years later. If you still have questions after listening in to this episode, I would love for you to check out my website. There are so many resources for you there! You can access my website by clicking here. Ep16: Feeling Your Baby Move!